The Cisco AP 3600 has a modular design that offers future protection with optional .11ac and security modules. 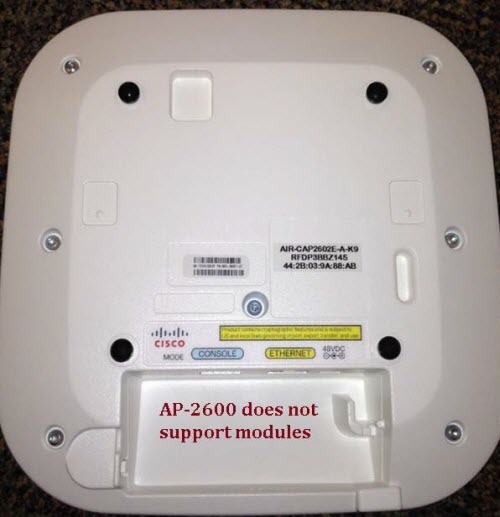 The AP 2600 does not support optional modules. However, the Cisco AP 2600 does have a slightly higher antenna gain in the 2.4 GHz band. 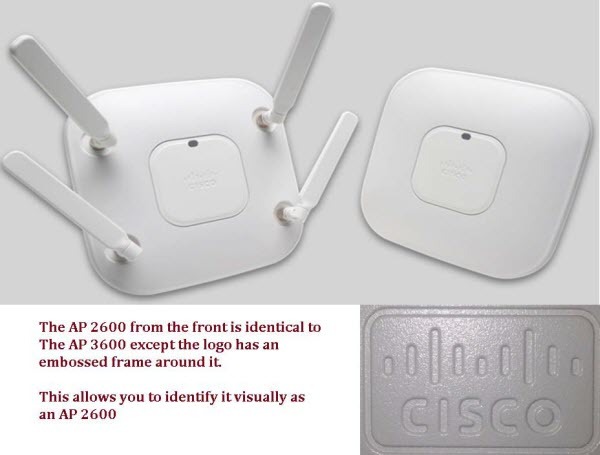 The AP3600 and the AP2600 are the same size, but it is easy to identify each one by noting whether the Cisco logo has an embossed frame (AP 3600) or not (AP 2600). The Cisco AP 2600 is a 3X4:3SS, so ClientLink does not beamform to 3SS clients; however, it does beam form at legacy, one, and two spatial stream rates. The AP 3600 is a 4X4:3SS, supporting an extra transmitter chain for additional down link performance for all bands and clients. The AP 3600 has slightly higher performance and beamforms to legacy, one, two, and three spatial stream rates and .11ac rates when using the optional .11ac module. The two series use the same mounting hardware and antennas.